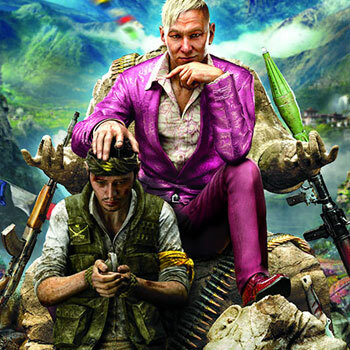 Far Cry 4's box art (shown right) is, let's be honest, deliberately provocative. At GamesIndustry.biz, Brendan Sinclair remarks that given the series' problems with 'satire', it's reasonable to be wary of giving Ubisoft the benefit of the doubt. Further, Shivam Bhatt writes a thoughtful post for Gamasutra about the lack of respect shown to South Asians and Buddhists in general, specifically through the lens of FC4. On the brighter side of cultural representation, The Financial Post have an interview with Upper One Games, the first U.S.-based indigenous videogame company, where they discuss the development of Never Alone, a game with an Inupiat protagonist and her arctic fox companion. Simon Parkin writes for the Guardian about 1000 Days of Syria, a free online game by an American journalist who covered the conflict in Syria. Finally, still sort of on the subject of 'dark things', Gamasutra has a fascinating postmortem of The Chinese Room's Amnesia: A Machine for Pigs. Want some more? Be sure to swing over to Critical Distance to have your fill!